It’s hard to put your finger on what makes Ben Hil (short for Bendungan Hilir), right at the heart of the city, the go-to spot for street food. Maybe it’s the atmosphere—the perpetually wet streets, the howl of the bemo, the ubiquitous banci whose Adam’s apple bobs as she points her chin at you and asks for money with those do-the-right-thing-or-else eyes. But like nowhere else in the city Ben Hil provides long-time residents and tourists alike with a long list of food haunts like nowhere else in Jakarta. So here, in no particular order, are a few impeachable favourites. Did yours make the list? It’s your first stop in the Ben Hil market. A few metres off Sudirman, just past the Viagra salesmen sits one of the simplest stands in the city. A man and his wok. But this is no regular mie dish. There’s just something about the simplicity that makes this place a favourite. Forget catering your next meal or even slaving away in the kitchen. Just roll up to the cart and order five portions. It will set you back Rp 50,000. Forget the fight that comes with what happened to the original Santika or any of the other folklore that comes with the place, like the fact that the band was never really hired, but just showed up one day and started playing, and try and enjoy some of the best seafood in the city. Most folks come for the mussels or the grilled fish, but the best dish on the menu is the Kepiting saus Padang (Crab in Padang sauce). It will change the way you think about crab and pineapples, forever. The name says it all. If you’re looking for dessert after a great meal at any of the places on this list or if you end up at Santika Baru, just walk across the street and order the martabak. If you’ve never had martabak before, it’s simple. It’s like a pancake soaked in butter and then folded and filled with chocolate, peanuts and condensed milk. Two pieces might make your heart stop, but one piece will leave you wondering if a heart attack is really that bad. Next on the list might be the hardest to find. Gudeg Penjompongan, which is actually a big deal during the day and usually sells out of food a little after sundown, is actually a house someone converted into a restaurant, not a rarity in Jakarta, but nonetheless, if you don’t know what you’re looking for you’ll never find it. The best way to spot the Yogyajakarta favourite is to look for the pile of cars outside the gate. Let’s just get this out of the way, this place is famous for is sambal ganja (marijuana chilli). It’s on the menu, but it always seems to be sold out. Don’t ask why. Maybe all the people with glaucoma are coming from the hospital across the street? But even if they’re sold out of the spicy mary jane, order anything on the menu. You won’t be disappointed. And even if you are, who cares. You found a place that sells chilli sauce with pot in it. 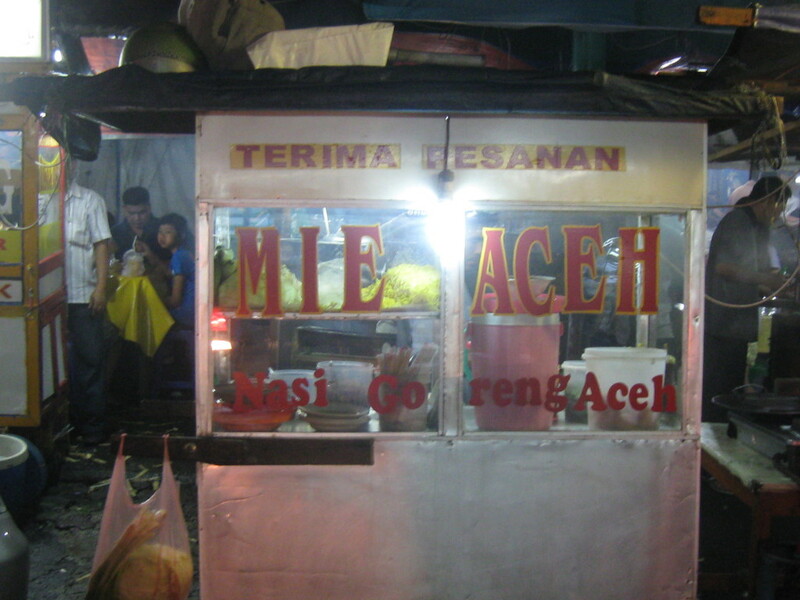 No list would be complete without a Padang resto, the fast food of Indonesia. The best thing about Cahaya is that it’s right next door to Seulawah, so if you don’t like the look of one you can duck into the other. But if you like Padang you won’t be disappointed. There’s something for everyone. The staples – dadar, perkedel, terong rending and djenkol are flawless, not to mention the fact that the place is like “Cheers”. Go there once and the guys will be calling you by name for years. 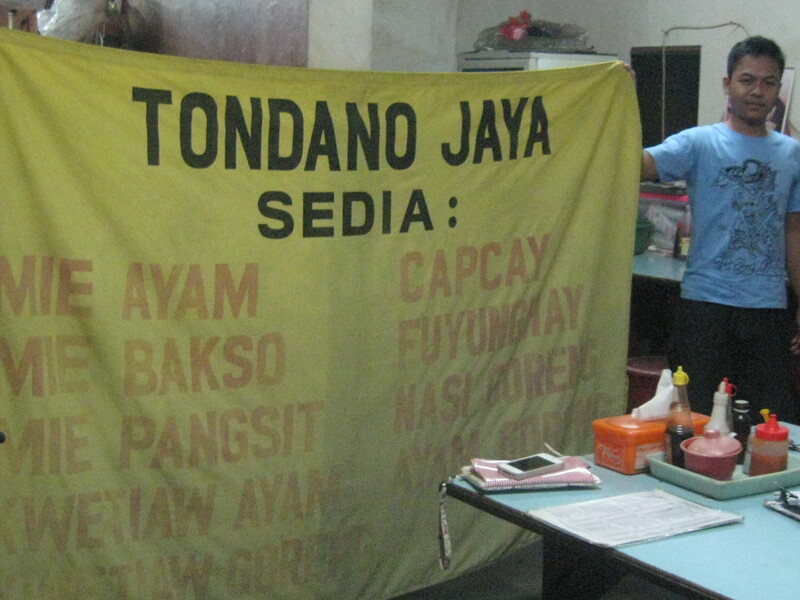 Like Gudeg Penjompongan, Mie Tondano keeps crazy hours and they only have so much food. Every day except Sunday they cook up a huge basket of noodles and fork them out until the last noodle. 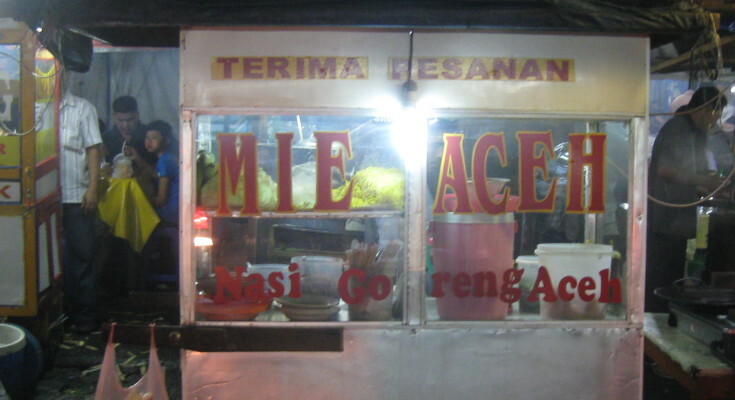 There are other things on the menu, nasi goreng and the like, but remember, you’re not there for that. Get the mie, have a seat and enjoy, there isn’t a better plate of noodles in the city. Cambodia Living Costs: Where Milkshakes Cost More Than Bacardi! You can contact Latitudes at all times, by using a form. You can also mail us directly at info@latitudes.nu or connect to us on Facebook or LinkedIn. This website and its content is copyright of Latitudes.nu (if not stated otherwise). All rights reserved. Any redistribution or reproduction of part or all of the contents in any form is prohibited. The information contained in this website is for general information purposes only. Any reliance you place on such information is therefore strictly at your own risk. Peter van Riel, founder.